Looking for a new Elan ? See the newest Elans available. Elan Marine have been building boats since 1949, but it wasn’t until the 1960s when they started producing yachts. 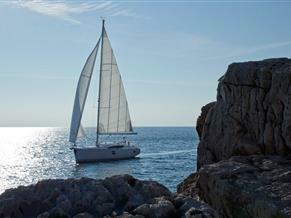 Elan yachts are highly regarded in sailing circles. We have a good selection of Elan yachts for sale here from well respected yacht brokers. If you are looking for an Elan yacht then you’re bound to find one here. Take a look at the many we have available including the Elan 310 Performance, 384 Impression and the Elan Power 35 Hard Top.